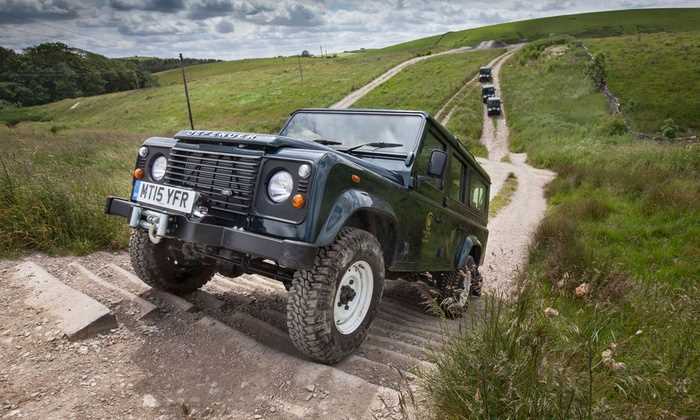 Experience the thrill of off road driving here at the Coniston 4×4 Experience, in the heart of the Yorkshire Dales. Situated in the stunning surroundings of the Coniston Hall Estate, between Skipton and Settle, the Coniston 4×4 Driving Experience offers unbeatable off-road courses and tracks. With vehicles including Land Rover Defenders, Mitsubishi & Isuzu pick-ups, plus our fleet of Kubota ATVs, we’ve an experience to suit everyone, whether you’re looking for a bit of fun and excitement, or you’re looking for formal commercial training. With over 5½ miles of purpose-built 4×4 course, as well as an estate tour plus our fantastic ATV trail, the Coniston 4×4 Experience is your one stop shop for off-road adventure. Our location is easily accessible from all parts of Yorkshire and beyond, and with the award-winning Coniston Hotel & Spa on site too, our experiences can become luxurious overnight stays. Test your skills in the Valley and tackle obstacles such as the Bannisters’ Banks, Pheasant’s Leap, the Dollies, and the Lagoon. With more than two centuries of driving experience between them, our off-road specialists offer expert guidance and advice throughout, and are here to help ensure your safety and enjoyment during your experience. Whether you are looking for a day out with a difference, a unique gift for a birthday, or are organising a corporate event, we have the perfect package for you! Contact us today to let us know about your event and we can tailor an experience to suit you.